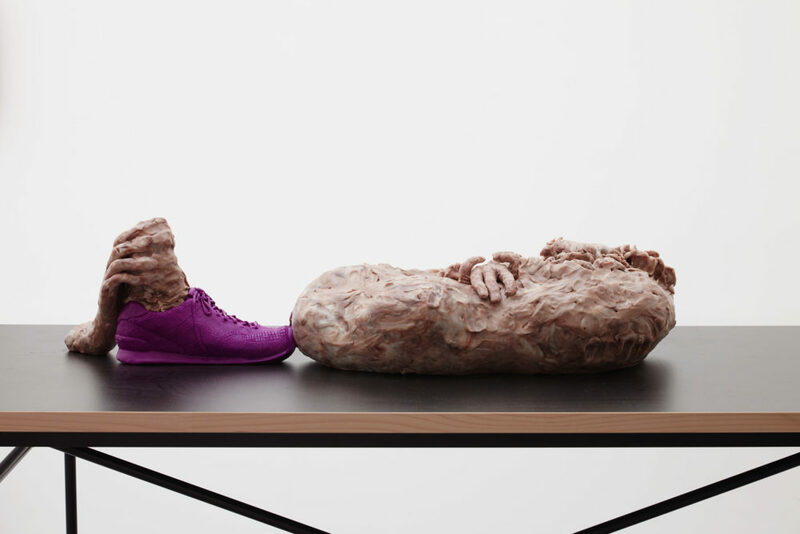 Dutch artist Hedwig Houben makes sculptural works and installations that are mediated by film, performance and language. For her first solo exhibition in the UK, Houben presented tableaus and accompanying filmed performances from the last five years. 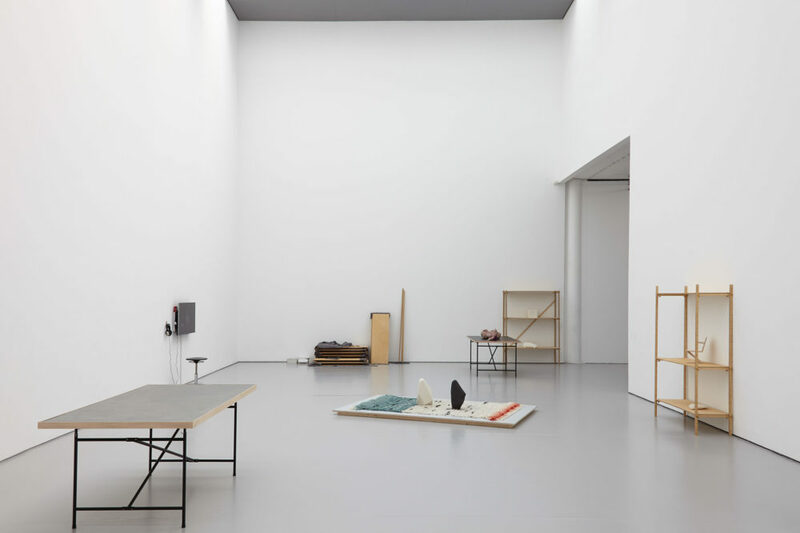 Each work comprised of one or more art objects and a script activated by the artist or a guest performer. 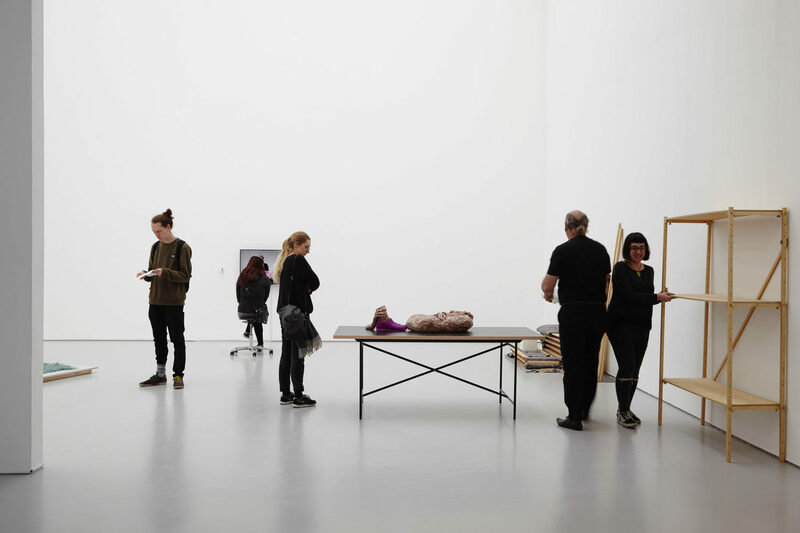 At Spike Island, Houben worked with four guests (a visitor, a collector, a staff member and a studio artist) to take on the role of the ‘performer’ and activator in four separate performances. Houben is interested in the shift that occurs when the works leave her orbit and exist in isolation from their maker, in an institutional context. 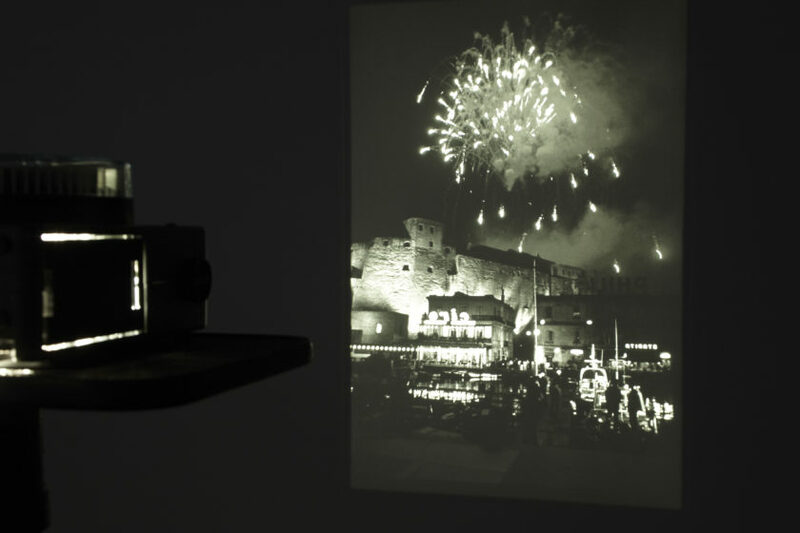 Who is the most powerful player – the artist, the art work or the spectator? The artist’s scripts are witty, meandering, and sometimes ridiculous. Like their sculpted counterparts, the scripts are malleable objects which lay their form open to the performer and the performance. 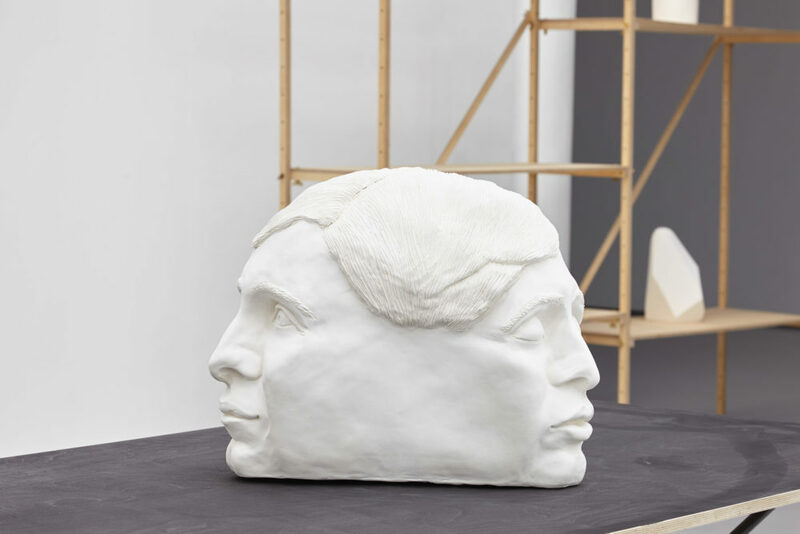 They reflect on the work, and the decisions made in order for it to come into being from shifting points of view – sometimes from the artist, as if she were giving a conventional artist’s talk, but often from the perspective of the objects, which become characters that reappear in different works. Through their repeated use, Houben demonstrates the lack of any fixed or singular meaning and emphasises context as crucial to interpretation. On the opening night of the exhibition, the artist performed Personal Matters and Public Affairs (2016), which examines the position and status of the individual when they are removed from their private space. 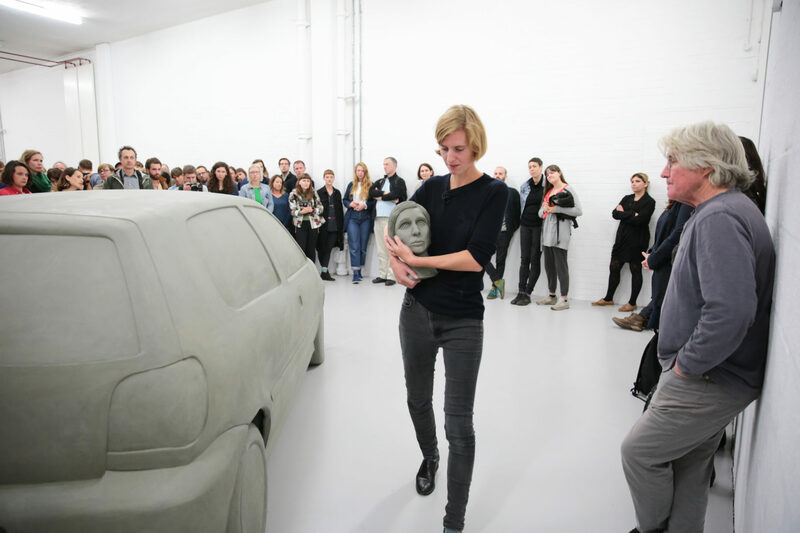 A 1:1 scale plasticine model of a Volkswagen hatchback, ‘The Other’, is confronted by a plasticine portrait of the performer, ‘I’. 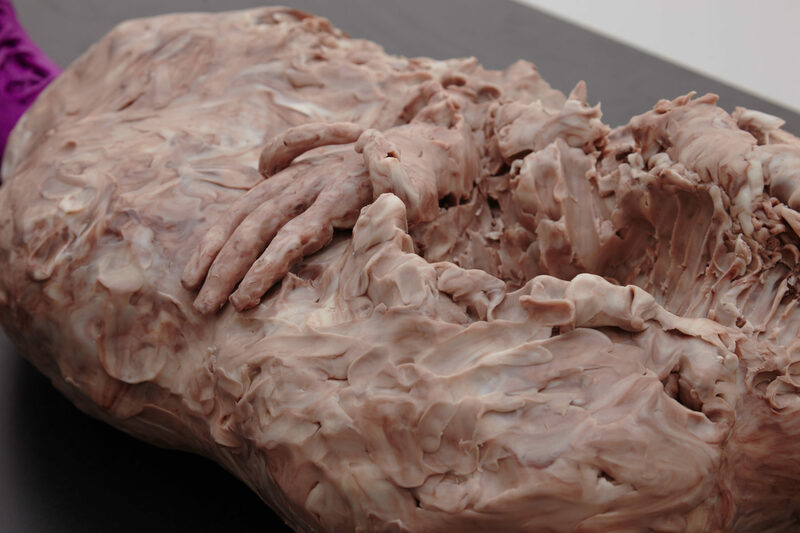 Hedwig Houben (b. Boxtel, The Netherlands, 1983) lives and works in Brussels, Belgium. 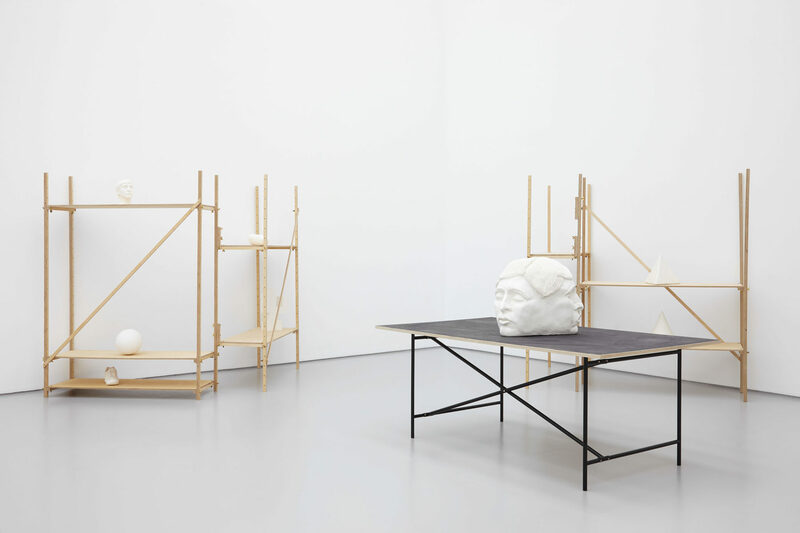 Houben studied at Higher Institute for Fine Arts Flanders (HISK), Ghent (2010-2011) and Art Academy Düsseldorf (2006-07). Recent solo exhibitions include: First, you learn to see; second, you try to understand; and third, you’re about to act, Galerie Fons Welters, Amsterdam, The Netherlands (2014); The Hand, the Eye and it, 1646, Den Haag, The Netherlands (2013); Five Possible Lectures on Six Possibilities for a Sculpture, P/////AKT, Amsterdam (2012); Personal Matters and Matters of Fact, Playstation, Galerie Fons Welters, Amsterdam (2012). 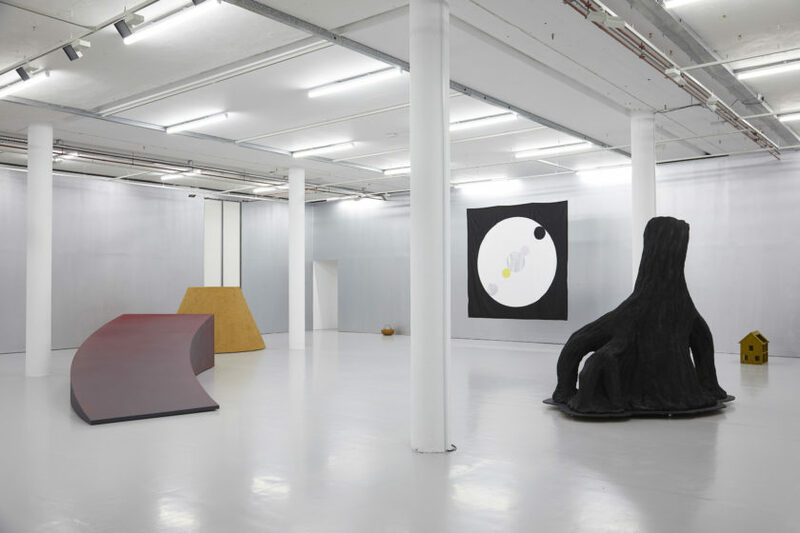 Group exhibitions include: Haar werkwerdverder o.m. getoond in: Don’t You Know Who I Am? 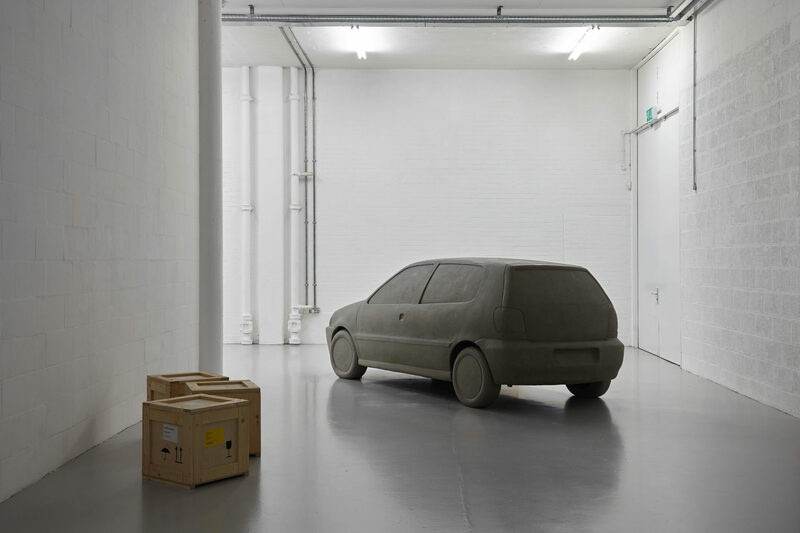 Art after Identity Politics, MUHKA, Antwerp, Belgium; Trains of thoughts, Goethe-Institut Rotterdam (both 2014); Six Possibilities for a Sculpture, La Loge, Brussels, Belgium;The Moon has a Complicated Geography, De Vleeshal, Middelburg (2013); Definitional Disruptions, Kunstraum, London, UK; Riptide, Kerstin Engholm Galerie, Vienna, Austria; Manufacture 3, CentrePasquArt, Bienne, Switzerland (both 2012); Comique Géométrique, La Salle de Bains, Lyon, France; Found in Translation, Casino Luxembourg, Luxembourg; Sober & Lonely Institute For Contemporary Art / Outlet Project Room, Johannesburg, South Africa; Making is Thinking, Witte de With, Rotterdam (all 2011).